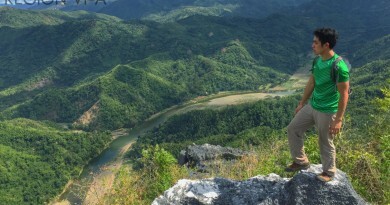 As I always tell foreigners who want to go hiking in the Philippines, here the guides are an integral part of the hiking experience, not just because they know the way, but because in going to mountain communities, it helps to have a local with you. 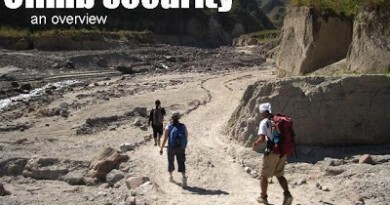 They are not just for direction, but for security and peace of mind, and when you are able to talk to them about their culture and way of life, then they can enhance the hiking experience itself. There are no written rules regarding guides, and though hikers have been dealing with guides for several decades, some problems still arise, but I think this is largely due to miscommunication. I have come up with these pointers concerning guides, and it is my hope that this will help in dealing with guides. 1. Unless you’ve made prior arrangements, allow the locals to select a guide for you. Most of the time, the locals have a process of selecting a guide, it is best to stick with this to prevent grumbling among the guides. Also, stick to a guide if you’ve already committed to get him. In Mt. Batulao, I’ve seen kids go into a fistfight over who gets to guide. 2. Introduce yourselves to the guide. Not just your names, but also where you come from, and what your professions are. Treat the guide as a new acquaintance. This will mean a lot to him. Essentially, it is your choice whether the guide will just be a guide, or be a friend. 3. Discuss the financial terms beforehand. Even before the climb starts, clarify with the guide/s the terms of your deal. “For example, “400 per day per guide”. This has to be laid out. Do not hesitate to bargain, especially if the asking price is higher than the standard price. But oftentimes, it is good to be on the generous side. P300-500 is the default price per day, if you have totally no idea how much it costs. 4. Prepare to pay for extra service – No pun intended. If you are doing a 14-hour trekking per day when the usual is just 7-10 hours, then better inform the guide as well, and prepare to pay something extra. This would also be true if you will do in just one day (i.e. P300/day) what is normally done in two days (P300/day x 2 = P600) or if you will ask the guide to join you in an exploration. In some places, guides are decked just like tricycle drivers in a terminal, so if there are 30 guides, then only after 29 guides have guided will they have their turn to guide again. They will probably consider it bad luck if you will not be giving them as much business as the usual, so you better put this into consideration. If you say you’ll be climbing for two days but the climb extended well into the night, it will also be fair if you give some “overtime pay”. Finally, if you will ask the guide to act as a porter, that deserves some extra compensation as well (later on, you’ll see that compensation is not all monetary). 5. Discuss non-financial terms beforehand. If you take a guide on an overnight trip, where will he stay? Does he have a tent, or do you have to provide for one? Is he bringing his own food, or do you have to include him in your meal plan? Unless otherwise specified, the default arrangement is that the hikers provide the guide with meals and tent, so better carry an extra tent and extra supplies if you are not sure. In some areas, there are two-tiered rates, for “food included” and “food not included”. Now that traverses have become quite popular, you should also give him a transportation allowance to get back to his house. For instance, San Pablo is quite far from Lipa if you’re doing a Malipunyo Traverse! 6. Discuss the itinerary with the guide. 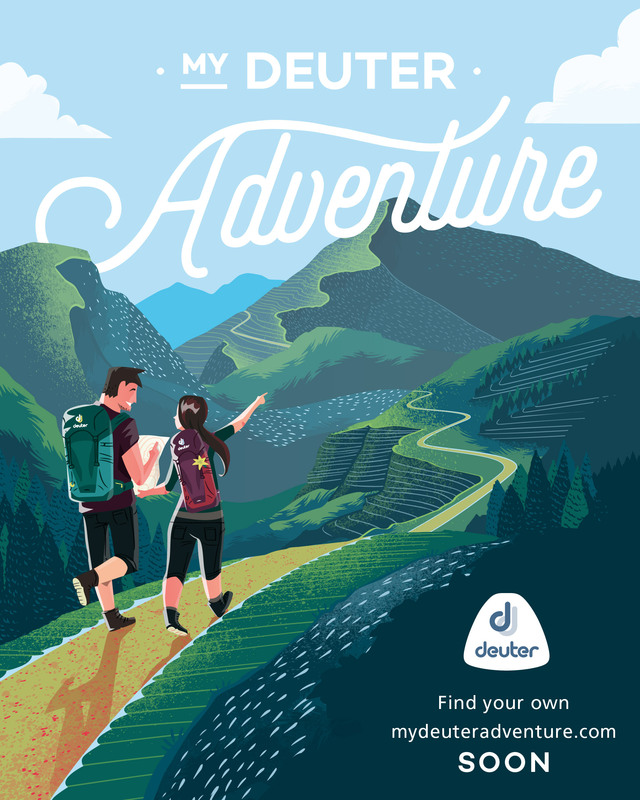 This is especially true if you are attempting a route that has never been tried before, or an exploration, or a deviation from the usual itinerary. The guide can tell you if it’s possible. Take note that guides have personalities. 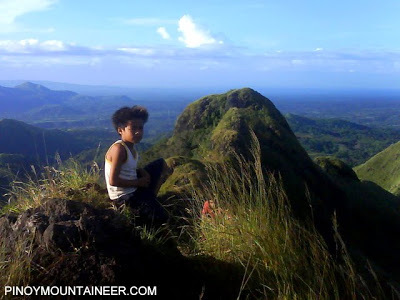 Some are daring: “Sige sir, subukan natin!“; others are more conservative: “Mahirap yan sir, matatagalan tayo…” It will help a lot if you have already climbed with the guide before – he can assess your capabilities and likely be more willing to do a more ambitious climb on your next trip. 8. Communicate with your guide. Guides are not perfect; many of them are not even guides in the sense that they have another true occupation/profession. They may commit some mistakes, but these can be amended with proper communication. A common fault of guides is their tendency to go way ahead of the team in the trail, unmindful of the possibility that you might get lost. When this happens, just tell them to maintain a closer distance. 9. Invite him, but leave it up to the guide if he wants a ‘tagay’ of Tanduay. I discourage drinking, particularly heavy drinking, in the mountains, but if you do drink, of course it would be nice to invite the guides to join (unless the guide is a young boy). The reason why I’m saying this is because I have heard of stories about guides, who, because they are not used to drinking, got too much of a hangover that the climb itself was compromised. Even if they are used to drinking, they may not be used to drinking the kind and quantity of liquor that you bring. 10. Leave a token. This would be actually a small effort on your part, but it will mean a lot to the guide. 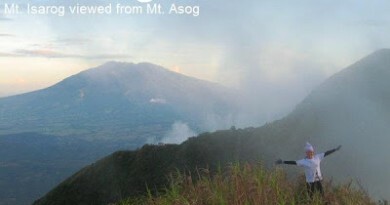 I have, in the course of my climbs around the country, given a tent (to Kuya Rey of Mt. Kanlaon), some jackets (to Kuya Narsie of Pulag and Kuya Josue of Madjaas) and many other articles of hiking gear – I gave these to them because I knew that they can use them more than I could. For the kid guides of Batulao, you can give school supplies. 11. Build a relationship with your guide beyond the climb. Establishing friendships with guides is a very rewarding pursuit, and the next climb will be more fun for both parties involved (hikers and guides) because there is a shared memory. As a doctor, I’ve extended medical help to my guides, having told them after the climb that they can approach me for health-related matters. 12. Guides are ‘testimonials’ to who we are as hikers. Guides remember their guests, and they have a tendency to unwittingly give “testimonials” on climbers they’ve guided in the past. If you maltreat your guides, do something nasty during your climb, and make a false claim about reaching the summit in just so-and-so hours, then somehow, word will get out. On the other hand, I can assure you that your guide will speak highly of you to other climbers if you act as a responsible and friendly mountaineer. And if you do make a hiking record, then the guides will be proud to share them as they themselves were part of your group. 1 Comment on "Hiking advice: A guide to guides"
In short: "Do unto others as you want others do unto you!". Respect and be kind to all trail guide because in return you will get their respect and they will be proud of all your claims and achievements. Thanks for sharing this boss Gideon! It's been a long time since my last Climb in the Philippines and this info really helps. Cheers fellow Mountaineer and Keep up the good job and God Bless You!